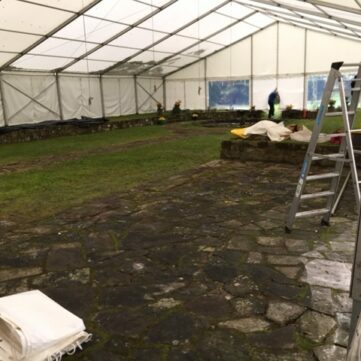 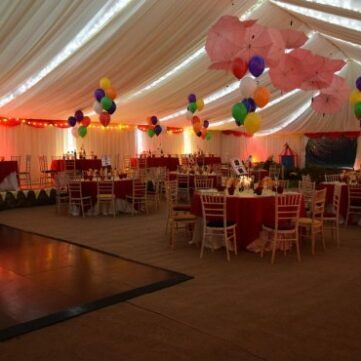 Here at Carron Marquees, we pride ourselves on working with a variety of spaces to create beautiful marquee venues that match the needs of each customer. 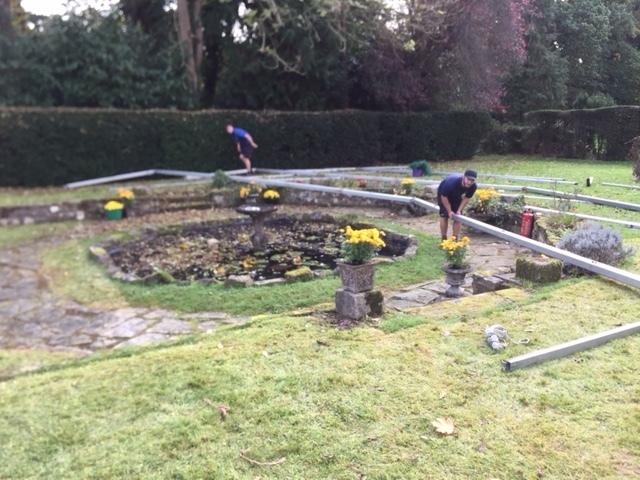 One event held in October 2017, demonstrates our ability to work around challenges. 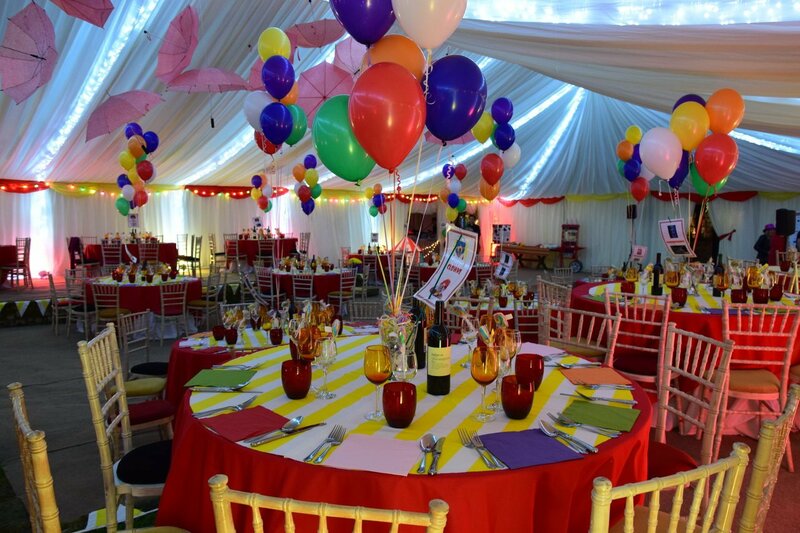 The event was an incredible circus themed joint 50th birthday party that the customers wanted to hold in their garden. 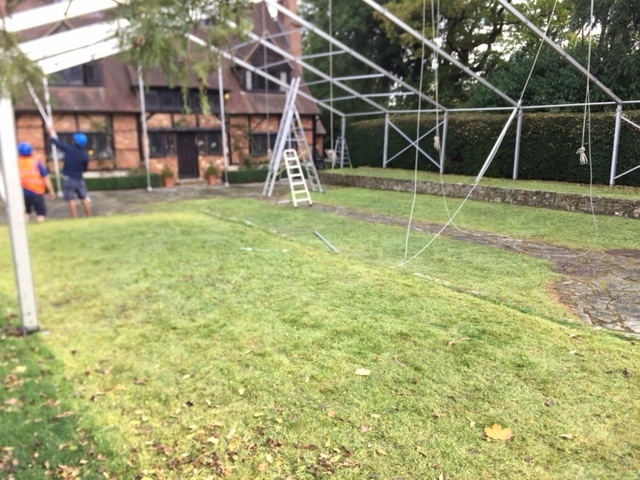 For ease of catering, the customer wanted our versatile marquees to attach to the house, allowing their own kitchen to be used. 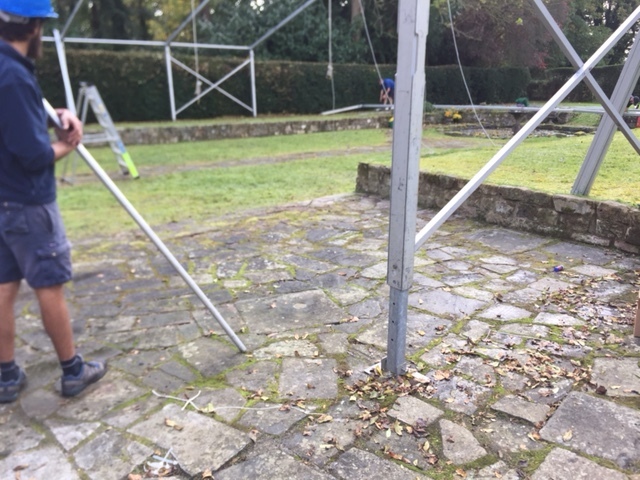 This threw up some interesting challenges for our expert team. 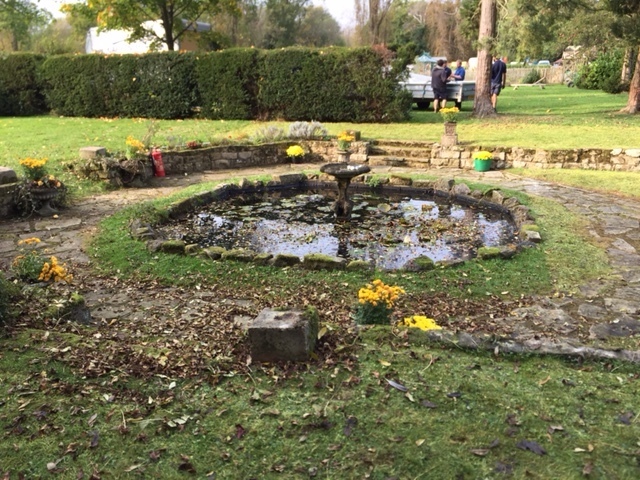 The garden featured flower beds, patio, and a water fountain – ruling out a straight forward installation. 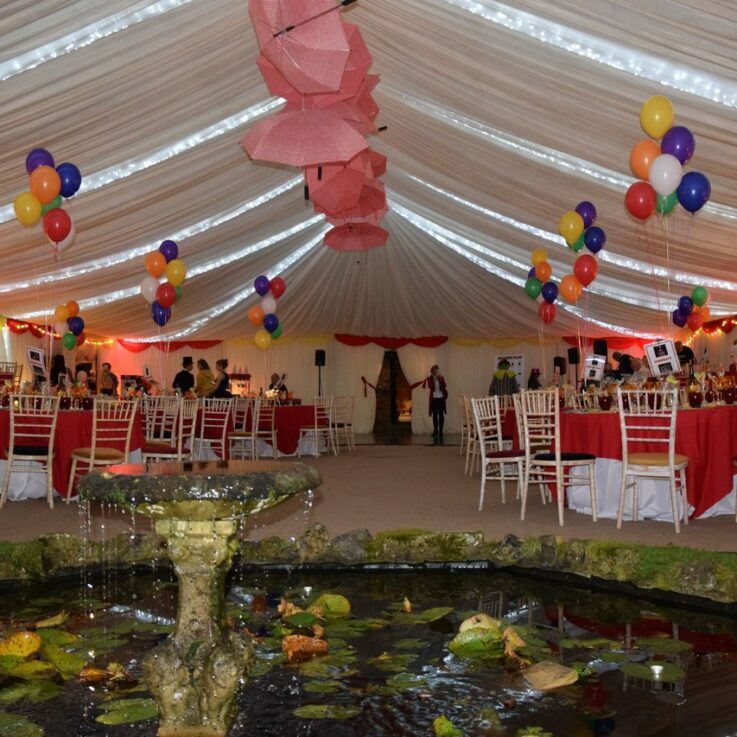 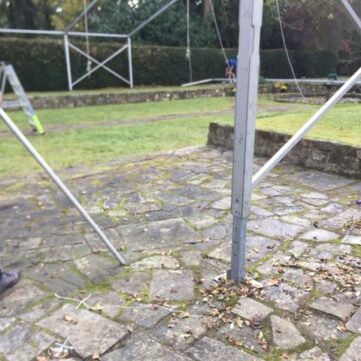 However, through creative design and layout, these were obstacles that we were able to overcome to set out a marquee that captured the theme and worked for the party atmosphere. 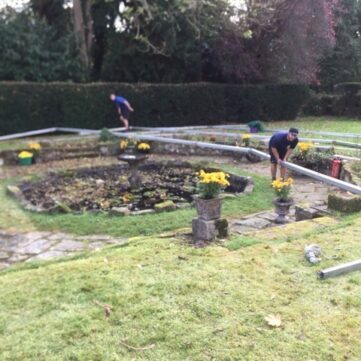 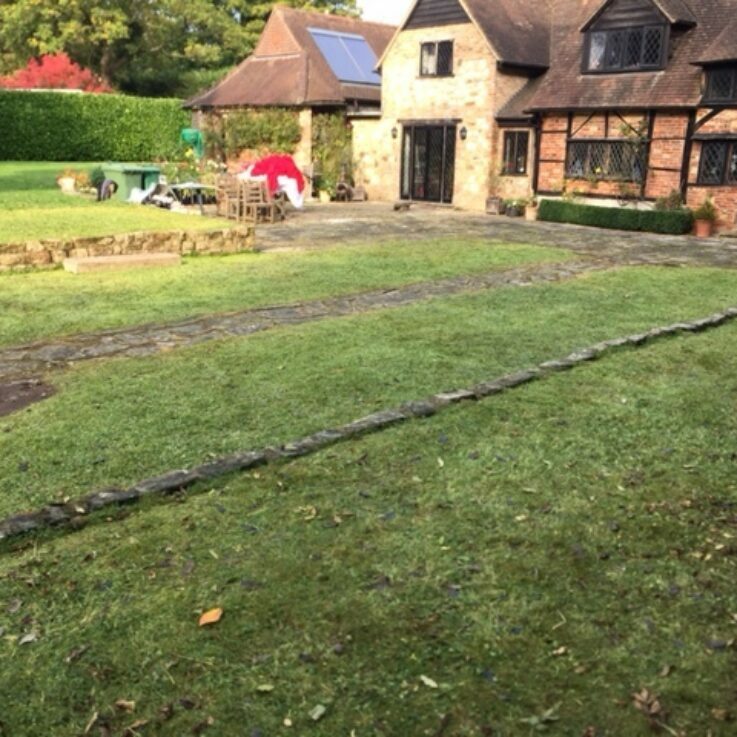 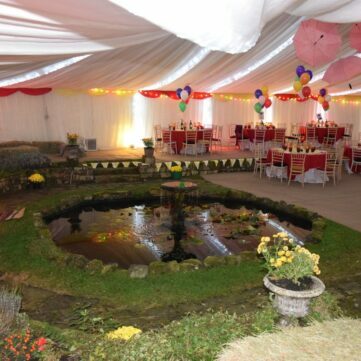 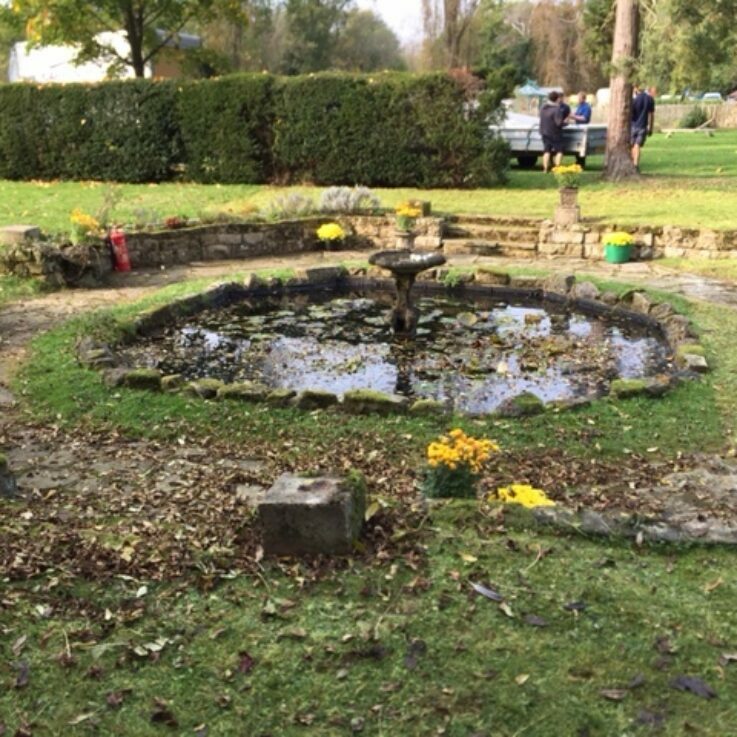 Firstly, the marquee was erected over the flower beds, which were cleared due to the season, and pond. 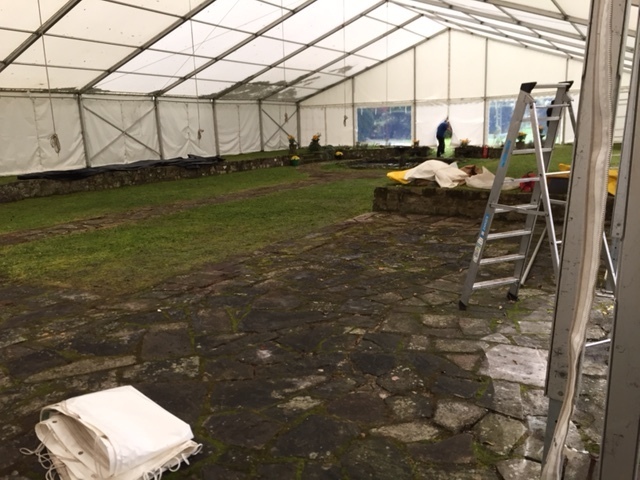 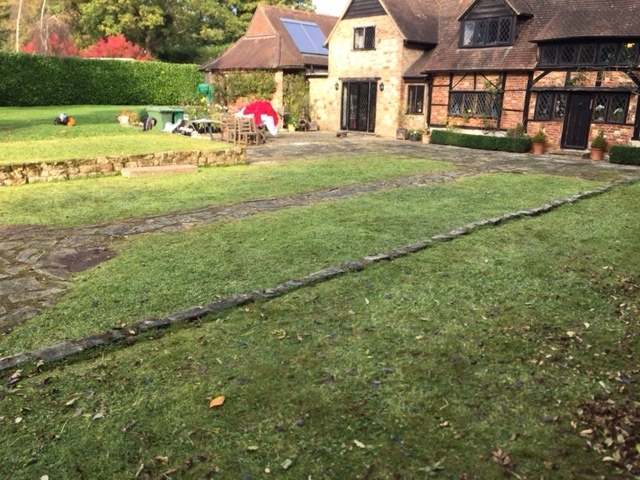 We then carpeted the flower beds, using them to place tables and seating areas on, while a raised bed provided the perfect place to create a natural stage for the live band to play on. 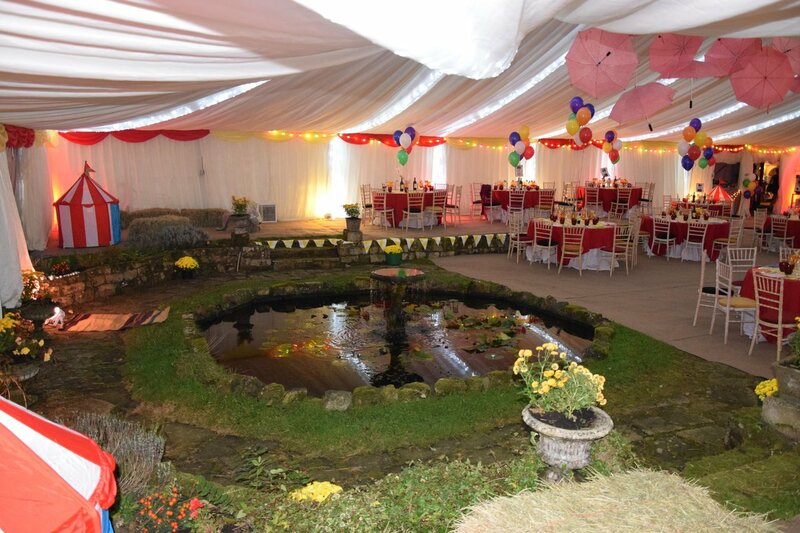 The pond and water fountain we’re used as part of the marquee design, establishing a stunning focal point that tied beautifully into the circus theme and unique party atmosphere. 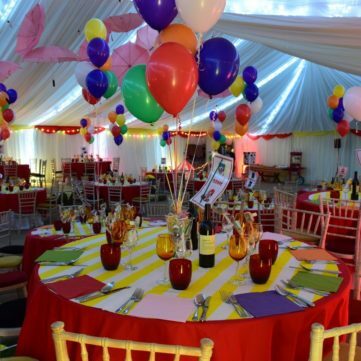 Embracing the idea of a whimsical circus, our team used coloured swags, seat pads, and tablecloths, along with balloons, to capture the feel of walking straight into a big top. 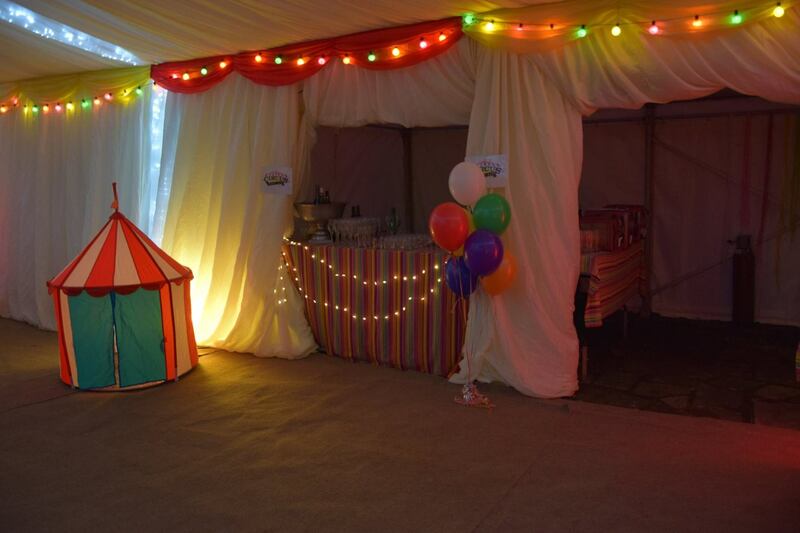 Coloured festoon lighting around the edge of the marquee and fairy lights in the roof further added to the overall feel of the venue. 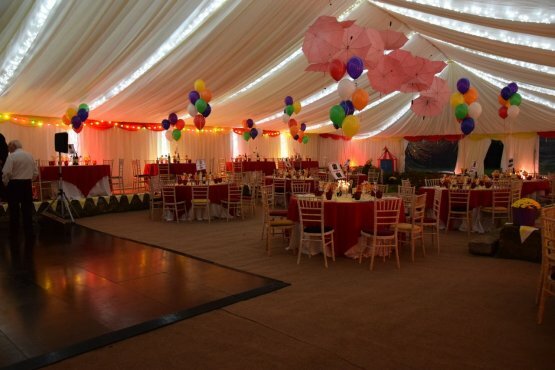 The final decorative touches that captured the playful circus theme were bunting running along the edge of the flower beds and dozens of colourful umbrellas hanging from the room to create points of interest and instantly transport guests when they entered the marquee. 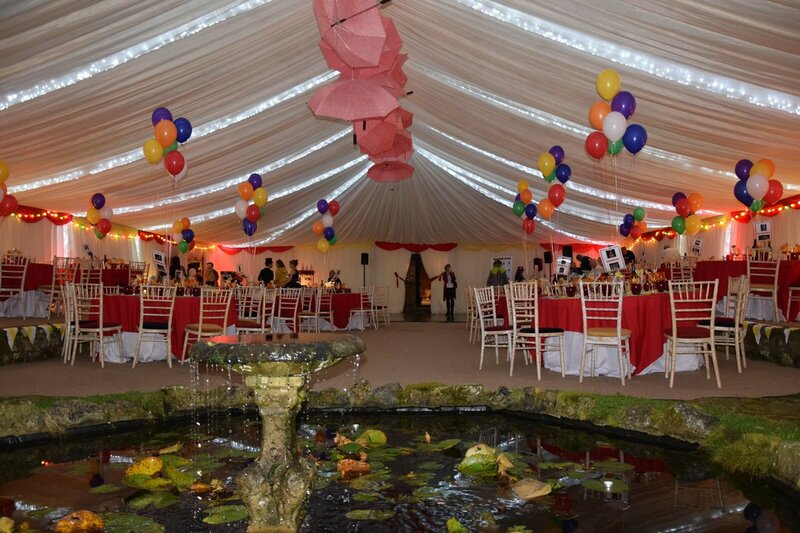 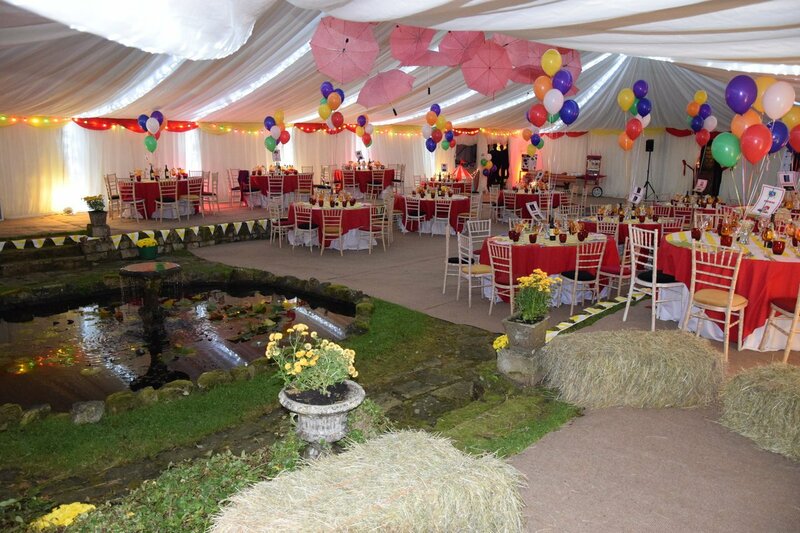 The result was a marquee venue that incorporated elements of the garden location, using these features to enhance rather than negatively affect the party’s circus theme.